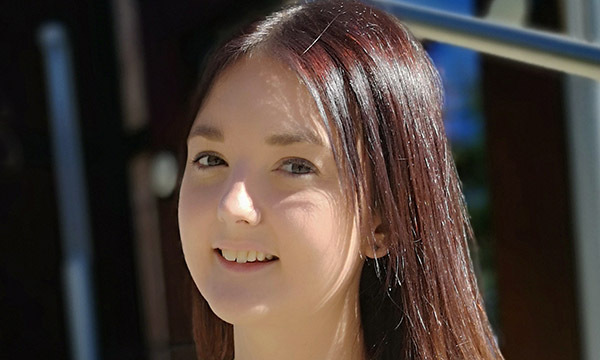 Former RCNi nursing student of the year Zoe Butler has landed a new post, becoming what many believe is the country’s youngest university lecturer. As a lecturer in assistant practitioners in health and social care at Cumbria University – where she graduated – Ms Butler is teaching a variety of pre-registration students. This includes radiotherapy, occupational therapy and physiotherapy students, alongside nursing. ‘The role is about guiding people onto the right career path, helping them find their route,’ she says. But her appointment, which started in October, has attracted criticism from some quarters, with derogatory comments on social media calling her incompetent, incapable and stupid. ‘People expect someone with more experience, and I can understand that,’ says Ms Butler. ‘Some have said that because I haven’t practised for very long, I’m incapable of teaching. Ms Butler also believes it demonstrates an unpleasant side of the nursing profession. ‘It was interesting that all the negative comments on social media were anonymous. It shows quite a shocking culture that we, as a profession, need to address,’ she says. Ms Butler has been in the public eye since she won the Andrew Parker Student Nurse Award at the 2017 RCNi Awards, something she has sometimes found difficult. ‘It can be hard to deal with because people know your name and you just want to go about your day-to-day job,’ she says. But she also believes that winning the award was instrumental in gaining her new post. ‘It spurred me on. It brought me to this role because here I can help others to reach their potential too,’ she says. Her recognition was achieved for her work on the Hot Potato project, which brings young people together to discuss their mental health issues, helping to build resilience. She continues to be involved with the project, helping to develop learning resources and workshops that will take place in schools, and is also working a shift each week in trauma and orthopaedics at University Hospitals of Morecambe Bay NHS Foundation Trust. Looking ahead, she is hoping to use her role to explore different teaching styles, the impact they have on students and whether more needs to be done to bridge the gap between theory and practical application. ‘I’ve already had someone say at the beginning of a session, “I’m not going to understand this”. And then you sit with them, go through it, and they say, “actually, this is achievable”,’ says Ms Butler.